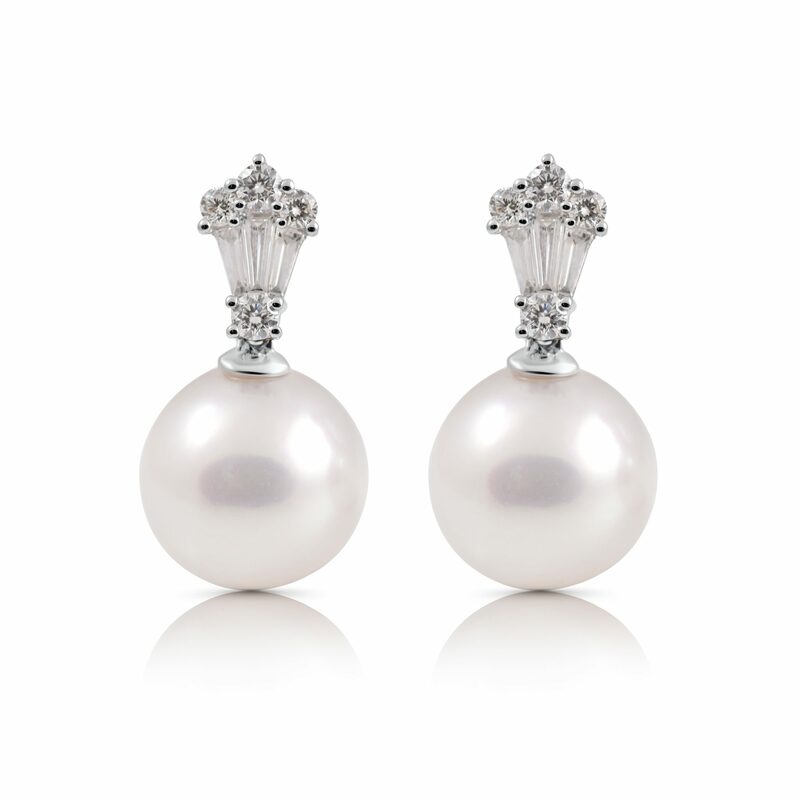 A pair of white gold South Sea pearl drop earrings with diamond crown. Crafted from 18K white gold and set with tapered baguette and round brilliant cut diamonds. 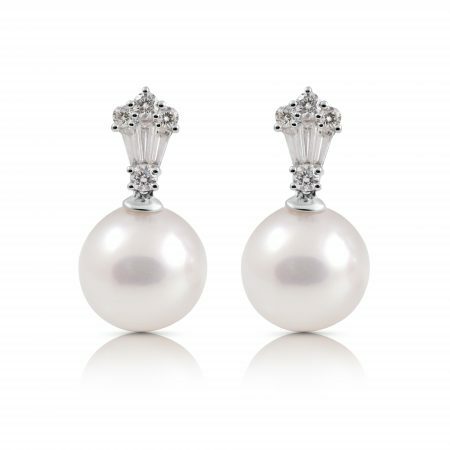 The pearls are 11mm, round in shape with brilliant lustre.